I had just moved back from Washington DC, and was working on State Street in Boston. This was a poem I wrote over six trips to the bank, while I waited in line. 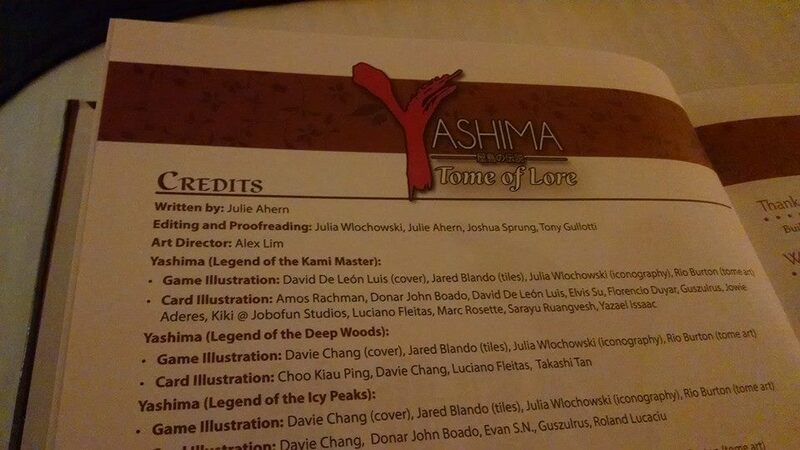 Rather than post here, I have been working on stories for Yashima, Dragon Tides, and Zpocalypse 2…. so now I will just link to my other work here. This is a fiction short story for a new publication. They are fantastic, and I hope you enjoy the read. Great Britain is a noble nation that prides itself on its industry and ingenuity. In the race to be better, faster, newer and more modern, therefore, the UK Alliance opts for sound mechanics over style. They do hope to eventually have an end result that is more up to the spit-spot standards of the empire. An outsider might note that with all the engineering and chemical advancements of their Scottish citizens that are then…modified to fit with the mechanical work of the British factories, that some of their mechanical advancements do appear a bit…cobbled. No matter, they are solid dependable mechanized components of the highest caliber using only the best materials in the empire. If this was all they had they would be a force to be reckoned with, but this also doesn’t take into account the history of leadership in Great Britain. After the Great Blight while all European countries were recovering from their losses, Great Britain, with the help of Parliament forced the government to take use new tactics in establishing and maintaining their other colonies. Rather than use military might to have a presence in lands as far as India and as close to home as Ireland, the Brits used a combination of trade agreements as well as a healthy military presence to negotiate “the Empire on which the sun never sets”. They are known far and wide as having a tough but fair attitude towards their colonies, and have given more authority and voice to those principalities, having learned from those poor dead tea-dumpers across the Atlantic. Some feel they still have too little say and Great Britain behaves as an older brother, watching over all in judgment, but most are thankful for the security and prosperity the great nation has afforded their lands. In an age know for pragmatism and style, the French chose to err on the side of decadence. Their work was lovely to the point of ridicule for ages, despite some great scientific advancement in chemistry and aeronautics. Because the King insisted on enough gilding and embellishments to make his Zephyrs look like Faberge Eggs, they were unable to make it off the ground. This lead to the great rebellion which overthrew the monarchy and lead to the Republic. In the run for power, these deficits almost cost them Algeria and their holdings in Asia, were it not for their academies. Though the quest for enlightenment through beauty and art may have been a national obsession, French universities produced the finest chemists in the world. Their research into the compound zenjin made the most efficient fuel and later, the deadliest chemical weapons. It was for this skill alone that Germany approached the newly appointed French Prime Minister Jones, to form the Europe Alliance. Germany, for its part, was newly formed as well. The Hapsburg Empire debacle against Prussia at the end of the 18th century had left the land, harsher and more chaotic than its neighbors to the south. It might have be years and years before the Germans united were it not for the Great Blight. However, the darkness that lasted two years over all the world, the darkness that plunged most other countries into chaos was the unifying factor that formed the German nation. Some historians say the independent states had already hit bottom and were forced to change. Others defend that the great leader Anderson magnetic personality and determination dragged the country out of the darkness and into a unified nation of purpose and industry. Whatever the catalyst, by the mid-century the Germans were already starting to implement mass production. Some time in the 9th century –present day Stories are passed down from father to son about the Zhēngqì Jīnshǔ (steam rock). They flew from the sky and men harvested the precious materials from their bodies. Rudimentary experiments led to the invention of fireworks. Over the centuries, through the trial and error of great masters, materials are added to create more prolonged explosions that despite their power, are not as volatile. This recipe, closely hoarded, make the fireworks more spectacular, and explosions are more easily manipulated. 1502 – ? Leonardo Da Vinci performs experiments on a strange metal commonly mined in “The Orient” while in the employ of Cesare Borgia, son of Pope Alexander VI. Based on a mangled translation, he names it Zenjin Rock. He learns that it can be used as a fuel which creates a byproduct of steam rather than smoke. Da Vinci uses this to build the world’s first hot air balloons in miniature, and to create designs for powering water mills, the first theoretical elevator, and steam engine.He spends the remainder of his life experimenting and writing of his findings, but his manuscripts disappear after his death. 1712 Thomas Newcomen, a Baptist preacher, improves previous rudimentary designs of the steam zenjin for pumping water. Skeptics wonder how he came up with the idea without any previous engineering experience. It is rumored he has some of Da Vinci’s writings. 1757 or 1758 Joseph Black befriends James Watt. They begin the first systematic study regiment on steam power at Glasgow University soon after. Black provides significant financing and other support for Watt’s early research on the steam zenjin. Their research into the use of zenjin is the first scientifically documented since the Renaissance. With this material in use they are able to manipulate machinery in ways never imagined. 1769 Sir Richard Arkwright patents the water-frame, a machine that produced a strong twist for warps, substituting zenjin parts which add to the efficiency of the design. His commercial buy-in to a previously academic pursuit begins a trend that spreads throughout England, and eventually all of Europe. 1769 Eleanor Coade uses extremely low heat to blend ground stone and clay with zenjin. Her technique of alternating heating and cooling over long periods of time creates Zoade Stone, a high quality, durable weather-resistant substance, that has the hardness of rock, but also the conductivity and malleability of metal. While Eleanor uses it for architectural purposes, its uses carry over to many other designs in construction and weaponry over time. December 8, 1770 – May 4, 1785 The Austrian Empire, ruled by the Hapsburg dynasty, tries to encroach on the “German” state of Prussia. Prussia calls on fellow states for allies to stop what is called the Holy Roman Empire War. The failed attempt to appropriate Prussia ends the invasion, but weakens both sides. Other states try to seize dominance over Prussia resulting in constant battles which deplete the land of resources over the next 15 years and making The Prussians vulnerable to outside attacks…but masters of weaponry and military tactics. 1776 James Watt, Scottish inventor and mechanical engineer whose improvements to the Newcomen steam engine were fundamental to the changes brought by the Industrial Revolution in both Great Britain and all of Europe, installs the first complex machines, named steam zenjins, in a commercial enterprise. They are used to power pumps and produce a reciprocating motion to move the pump rods at the bottom of the shaft. The design is commercially successful, and for the next five years Watt is very busy installing more zenjins, mostly for pumping water out of mines. In his spare time, he begins writing alternate uses for these mechanics…motorized moving structures is one of his ideas. July 4th 1776 During the American Revolution, the comet carrying the rare heavy metal now known as zenjin comes the closest it has ever been to Earth’s orbit. At the signing of the American Declaration of Independence, it is spotted in the night sky. The world remarks over the vibrancy and size of the comet, many feeling it is a good omen for the new American nation. However, as it begins to glow bright even during the day, many start to panic and begin preaching the end of days. And right they are, as four months later the comet touches down in what was known as the Louisiana territory. The airburst is felt around the world, and the North American continent is annihilate on a scale unknown to modern man. The debris hits, and in a matter of minutes devastates the entire continent. What was once wide expanse of grasslands is now an inland sea. The shockwave, fires, and earthquakes from the even send the colonies back to the Stone Ages.. This blast causes ash and soot to rise into the atmosphere, cloaking the planet in twilight for two years. It takes almost that long for the broken armadas of Europe, all of which suffer great losses in the Americas, to discover the depth of the destruction. It is termed the Great Blight.The effects of the blast are felt around the world for decades, but are nothing compared to the now empty land of the North West quadrant of Earth. 1778 Antoine Lavoisier, the “Father of Modern Chemistry,” discovers the role oxygen plays in combustion. He recognizes and names it oxygen. Soon after he names hydrogen(1783). In the course of his career he finds and names many of the elements, but the pinnacle of his career is finding the unique interaction these two elements have with each other in zenjin, when during combustion they combine into water in its gaseous form. June 1783 Joseph-Michel Montgolfier and Jacques-Étienne Montgolfier invent the Montgolfière-style hot air balloon, globe aérostatique. The brothers succeeded in launching the first manned ascent by creating small controlled “explosions” of zenjin. Their globe aérostatique inspires many other aeronautic balloons, affectionately dubbed “Zephyrs.” They are a favorite with the king as a primary mode of transportation. 1785 The Bavarian-born, but Prussian-raised Anderson rises to power. He unifies the German states into one power through treatise, blackmail and any means necessary. His leadership transforms Germany from a quarreling group of tribal states to a country focused on mastering mechanics…for war. 1794 – 1797 Watt is chosen to manufacture an apparatus to produce, clean, and store gases for use at the new Pneumatic Institution in Bristol. Watt continues to experiment with various gases for several years, combining them with zenjin to see which produces the best results. Each variation is also tested for efficiency with his research team in Glasgow on each new edition of their many and varied motorized inventions. 1800 – David Mushet, Scottish metallurgist, patents a process to make zenjin modified steel. He bases his technique building on Eleanor’s Zoade stone research. While the initial process is extremely time-consuming and costly, the combination of the two materials creates a metal that is stronger and more durable than any other found on the planet. Because of the unique properties of zenjin, it also shows no signs of decay or rust due to oxidation. December 22, 1800 A wiser and more cautious England, in an stunningly unprecedented display of diplomacy, forms the UK Alliance to combine the countries of England, Ireland, Wales and Scotland. While the initial bonds are volatile because of centuries of war, the Alliance holds. In these early years, the British military is sent to “enforce” the diplomatic relations of these countries. One young soldier, Leftenant Smith, is sent to Scotland. 1801-1835 Samuel Slater, an early English industrialist known as both the “Father of the Asian Industrial Revolution” and “Slater the Traitor” because he brought British technology to China, begins his relationship with the Far East. He is publicly shunned and remains abroad for the rest of his life. April 30, 1804 France, still recovering from the effects of the Great Blight and the Rebellion, finally begins to take notice of England’s great strides in diplomacy and invention. During a meeting to discuss this concern, the fledgling government realizes that in event of an attack, France is woefully unprepared. For the first time all parties abandon posturing and manipulation of power. All agree that every resource available will be considered, nay- exploited to create the technology able to counter the UK threat. 1804-1823 Over the span of almost two decades, unsuspecting theorists and practical merchants alike are conscripted to the French cause. Spies are paid handsomely for all information on the progress across the Channel. While the monetary depletion of an already humble treasury almost leads to a second rebellion, the end result is that France is able to build the first lightweight mechs before the UK Alliance’s ever see completion. Their lighter design is more delicately built. This makes them easier to break… but faster to build and redesign. Each new evolution of the mech is more agile than the last, and design flaws are quickly scrapped and improved. For a proud people, the French have realized the dire need to focus on innovation over posture. Somehow they still manage to make their mechs look more…fashionable. 1822 Charles Babbage, mathematician, philosopher, inventor, and mechanical engineer, develops the concept of a programmable computer. What he calls “The Difference Engine,” is theoretically designed to compute values of polynomial functions and calculate a series of values automatically. James Watt, seeing Babbage’s foresight, influences the wealthy men of industry to further fund this research. December 21, 1822 After months of tentative negotiations initiated by Germany, France agrees to an alliance that will mutually benefit both countries. Under the terms of the Central Europe Trust (C.E.T.) both countries will maintain separate territories and governments entirely, but share a joint stockpile of all weaponry, materials, and blueprints to create a vast arsenal of military might. March 4, 1823 Testing their combined forces, the C.E.T.uses early designs of light-weight mechs imagined by the French and built by the Germans. Despite protest from the German-born pilot, Bob, that it is too soon for such a risky endeavour, they are flown over the Channel via zephyrs. These ships are the original French aircrafts of two decades past, retrofitted to handle the weight of their original baroque design. Now with the decoration gone, they are able to lift a new, more purposeful load. Locals believe they are seeing a monster of legend and cower in terror. Nearby, the garrison officer, Captain Rupert Corbet, leads his men in perfect formation towards the fray. At first sight of the great mechanical giant, they turn tail and flee. The C.E.T. mech’s movement is quick and devastating. Glasgow University, the foundation of many of UK Alliance inventors, is damaged. However, except for the main structure, no weapons or documents are taken before the mech retreats into the night. The location is remote enough that precious time is lost for retaliation. By the time the UK Alliance military is able to muster forces, diplomatic emissaries from the mainland have managed to stall a counter-attack. The incident is excused as being a solitary act of zealots. However the British crown and her loyal subjects take on a feeling of mistrust and resentment that lingers over time. C.E.T. see this as a clear indication that their alliance holds great promise. Each country eagerly moves forward with the long-term plans outlined in the original treatise. 1824-1836 Walter Hancock, using the foundations of the steam zenjin and lower combustion exchange, invents a number of steam-powered road vehicles. In 1827 Hancock also patents a steam boiler that splits under pressure rather than exploding so that the passengers being carried on his steam vehicles would be able to travel in (relative) safety. February 9, 1832 UK supplies and military en route to India are hit by a sudden storm off the coast of Morocco. Amazingly they are able to land and save the mech being sent to help police some of the colonies. Unfortunately, reports of the titan are received by a C.E.T. fort on the west side of Algeria. A regional, non mechanized battalion is dispatched to detain the wayward UK group. In the time it takes the French to reach them, the mech is up and running. At first the encounter appears as if it will be a draw, with both sides backing down. However, a young Général de brigade, Georges Danton, decides his ambition is worth the risk of both himself and his men. After a short and brutally ugly battle every soldier, save one retreating private, is slaughtered. The UK Alliance re-boards their ship and continues to India. Were it not for the lone survivor on the C.E.T. side this incident would remain a mystery to the mainland Europeans. Instead it is sensationalized in pamphlets all over France and Germany. TheUK Alliance is painted as dastardly villains. No word of the encounter reaches Britain until after the ship has reached India and sent back intel. The news of what has transpired comes from propaganda tactics almost simultaneously to the ship’s report. At this point diplomacy is too late, and many British sympathizers and loyalists in Europe retreat back to England in fear of lynchings. September 8, 1838 The mutual mistrust and ill will have both the UK Alliance and the C.E.T. moving their machines to strategic locations. The behemoths, strapped to the decks of their navy’s most stalwart carrier vessels, look like sea monsters themselves. Each time a mech is shuttled (escorted by the navy’s best) causes fitful nights of sleep for everyone. The crew manning the boat look for leaks constantly. The sailors on the warships scan the horizon for the enemy fleet. Bean counters of the treasury imagine the cost of even one of these doubly precious trips being taken to the bottom of the dark blue depths. When leaving the harbor many an old salty dog notes to his fellow bilge rats how low ‘er navy’s great lady is riding. Despite the potential for catastrophe, the cost of fuel, and likelihood of running across the unspoken enemy these ventures are deemed worth the risk. That is until the day when two barge vessels both carrying a titanic load, surrounded by their armada’s most stalwart warships, cross paths. For the sake of honor the ships on either side fire warning shots, signaling for the other side to move out their path. For the sake of honor, neither will change their course. For the sake of honor, it takes little effort to scuttle the transport carriers and many of the other vessels as well. Good men and women are lost this day. As predicted by the bean counters, the cost of the undeclared sea-battleis a devastating blow to the financial state of the military on either side. September 16, 1838- May 19, 1846 Two great alliances and several countries grieve for the brave pilots and mechs lost at sea. All the cities of Europe hold memorials honoring the great men and women who risked their lives daily to pilot the massive behemoths and the sailors who risked their lives on the treacherous ocean. More than a financial hit, the great loss on either side is in morale. After only a week’s time, the young Queen Victoria meets with Prime Minister Maximilien de Robespierre to form the Treatease of Europe. The Treatise outlines, in no uncertain terms, that any act of aggression will not be considered accidental in the future. Since neither side wants to harm their brother/sister country (or suffer the financial setback until victory is assured) both sides strive to impress upon their good and earnest soldiers how harmful an attack will be for their country in general and on their own person in particular. The great powers, thus satisfied, retreat to their corners to bide their time. 1842 James Hall Nasmyth Scottish engineer and inventor develops and mass produces the steam hammer. May 16, 1846 It’s late spring, a time when farmers have planted crops, and are tending the tender leaves on the vine. The rebirth of the land fills the air with the delicate perfumes of honeysuckle and lilac. In the early hours of a dewey May morning,ships glide the Bay of Biscay landing just south of Nantes. With razor-sharp efficiency they unload troops and mechs: their giant hulking masses are an army in and of themselves. Within the hour every cargo hold is emptied and the British fleet returns across the channel for the next load. The mechs break off into pairs heading for every key city in France. The other half of the fleet is landing in Germany with the same purpose. The UK Alliance thinks (with any luck) Paris will burn in a few days’ time along with Munich and Berlin. Of course this is not to be. The titans of the mainland soon rise to meet their foes and before long the ground shakes with the force of their battles. The Zenjin War is a long harsh bloody affair that only ends when a new threat arises. As the creative writer for Heavy Steam, I am the creator of an entire world. Does that sound amazingly awesome to you? It did to me, but then I had to put in the work. You know what Uncle Ben said about having great power? He wasn’t wrong. Read on to hear about it. Immediately I had to play the game so that I would know what I was writing for. We had a game session, and I really loved the elegance of the mechanics, even in that early session. I’m a fan of Flash Point and Pandemic, so I really appreciate when a resource management game has a theme that reflects the mechanics. As for making our mechs work in a steampunk universe, you have to first understand the underlying fact of steampunk. In the world of steampunk, there’s a pivotal moment when the reality as we know it shifts from our timeline to the alternate one that takes us to a universe that could have happened. There it was: my reason for having a new element introduced, and the cause for a monumental shift in history. With no United States to become a heavy hitter during the industrial revolution, what might have happened? Little did I know what I was getting myself into. Then began the dark days…. When writing for Zpocalypse my research involved re-watching Night of the Living Dead, and re-reading The Walking Dead. Even the CDC videos about preparing for a “zombie attack” are geared towards making kids aware of how disease spreads. Watching them is helpful and fun at the same time. Nothing prepared me for the hours upon hours of researching the European Industrial Revolution. I love history, I really do. Also, I am a firm believer in filling your brain with as much information as you can so that your tank is always full for writing. However, I can say that the weeks of time I spent, reading the biographies of minor players in history, who could have become major players in our alternate history were not the best weeks of my life. Why? For one thing, there is no visible output for the rest of the company to see. I knew they realized I was working, but it’s hard to quantify. I feel for wizards. All that studying over a tiny candle in the wee hours of the night for that one firebolt… is it really worth it? For another, you get a lot of eye rolling when someone casually names something a “Gatling Gun” and you freak out because that American inventor was never born. Nevertheless, research is a necessary evil. It’s vital to the process if you are going to make an alternate history. History is no joke, it’s a complex tapestry of the lives of humanity, and “winging it” makes for terrible writing. I know because I have written some, and read others. However, finally I had a rough draft of a timeline. The first part of which can be seen on our BGG forums here. Go look, and comment at will. Whose eyes are on this? Once I (finally) was able to start writing, I needed feedback. Writing in a bubble is lovely. You can create lots of fun words all thrown together without interruption. It does not help you grow as a writer. It’s a painful lesson I have to relearn all the time. However, I do like to have feedback one critique at a time. For each project I pick specific people. This time, my go-to person was ‎Neil Remiesiewicz, the primary writer for Hull Breach! If you don’t know Hull Breach, it’s a sci-fy card game where you play different factions vying for power using your military bases and ships manned with marines out in space. The man knows a little something about alternate storylines with a military focus. He’s also an awesome writer. Every time he had a comment that started with “Military Rant:” I breathed a sigh of relief. As a military history buff, I knew he would see things I would not. It also meant when showing my writing to the team after, I felt FAR more confident yelling at them for the Gatling Gun.